If you smoke cigarettes then this article – price of cigarettes by state: 10 most expensive states, will benefit you greatly. You will know which states to avoid and where not to get your daily dose of nicotine. When you compare the number of people who consume cigarettes in the developed countries now and 10 years ago, you can see a big decline. People are more aware of the health risks that come with cigarette consumption and there is also a big financial downside of the habit. So, you would assume that this became a problem for tobacco companies since they are losing customers. Well, unfortunately, that isn’t exactly the case. Tobacco companies sure have a smaller market in the developed countries than before, but there are developing countries where the number of people who smoke cigarette increases on a yearly basis. Some of the developing countries tried to put an end to the increase of cigarette consumers with regulations about cigarette packaging that would contain warnings about the health risks of tobacco consumption. One of the countries that tried this practice is Togo, but country failed for a disturbing reason. Philip Morris International, one of the largest tobacco companies in the world threaten to sue Togo if the regulations take place. The country had to back down since the government could not afford to engage in the legal battle with a $80 billion revenue company. So, unfortunately, you won’t see any big company going out of business soon. Globally, the predictions are that there will be close to 2 billion cigarette consumers by 2025 compared to the current 1.2 billion. 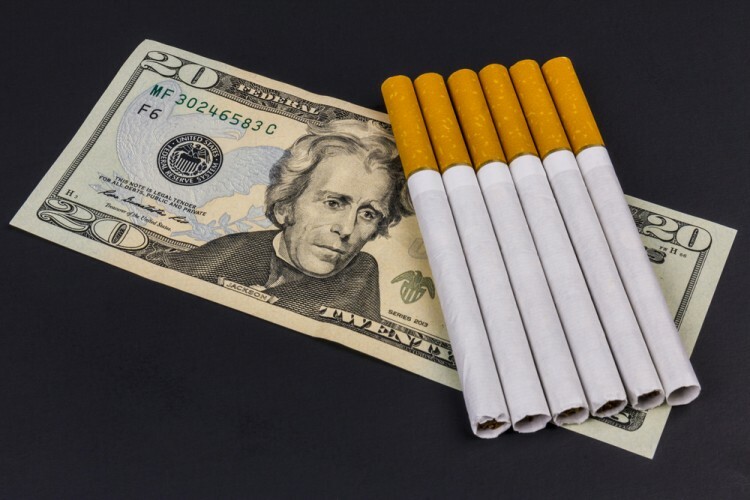 If you are not interested in events on the global plan but want to know where you can get the cheapest cigarettes, check out – Price of Cigarettes by State: 10 Cheapest States. Now, to get you familiar with the price of cigarettes by state and with the most expensive states, we have consulted a report made by The Awl from 2016. They’ve calculated the average prices of Marlboro Reds in each state, giving a good insight into the overall cigarettes prices. Let’s take a look where you don’t want to be a cigarette addict.